My good friend the late Hans Pfingsten in his landmark book German Hunting Guns of the Golden Era 1840-1940 gives us a brief summery of the firm of Sackreuter. Jacob Philipp Sackreuter was born in southern Germany in 1799 and when in his late 20’s (1827) moved to Frankfurt am Main where he established himself as a Gun Trader. 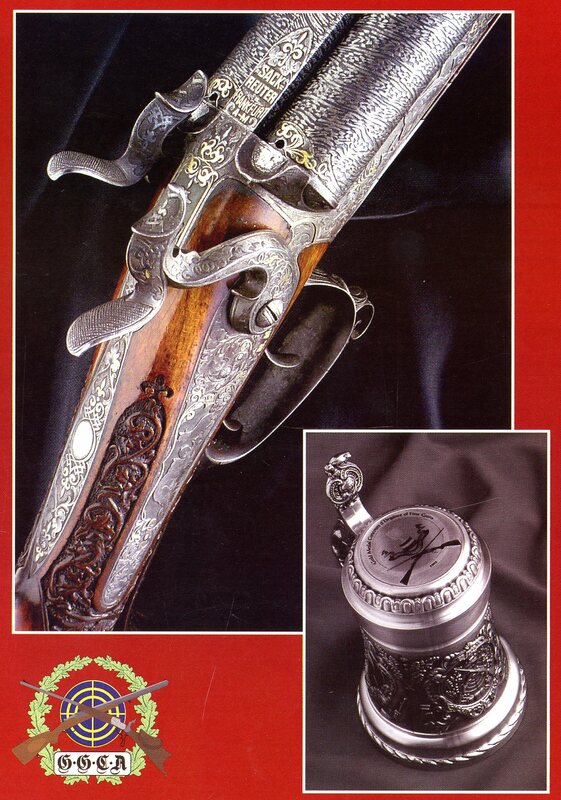 In 1838 he established the firm of Jacob Sackreuter and at that time would have traded in flintlock and percussion guns. 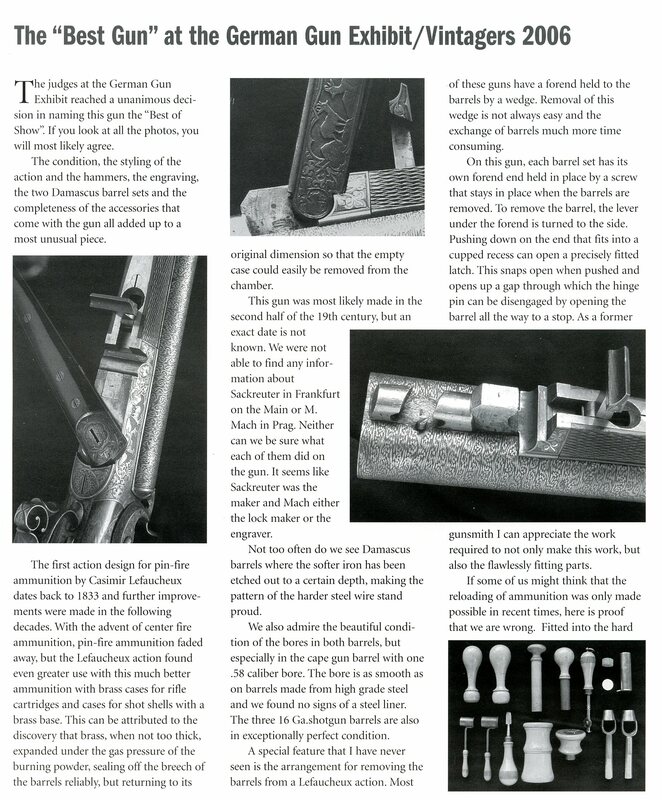 He eventually became a seller of Suhl made guns and some of these may have had his name on them. Also he distributed guns from England, Belgium and France. He developed a short barrel, large caliber double barrel rifle (Dopplebüsche) designed for hunting wild boar which became popular and widely used. Jacob died in 1850 and Phillip Friedrich Behrends bought the business. In 1873 Edgar Conrad A. Andreae took over the businss and operated it until about 1913. Edgar was a wealthy Banker and Hunter who wrote several books about Hunting. 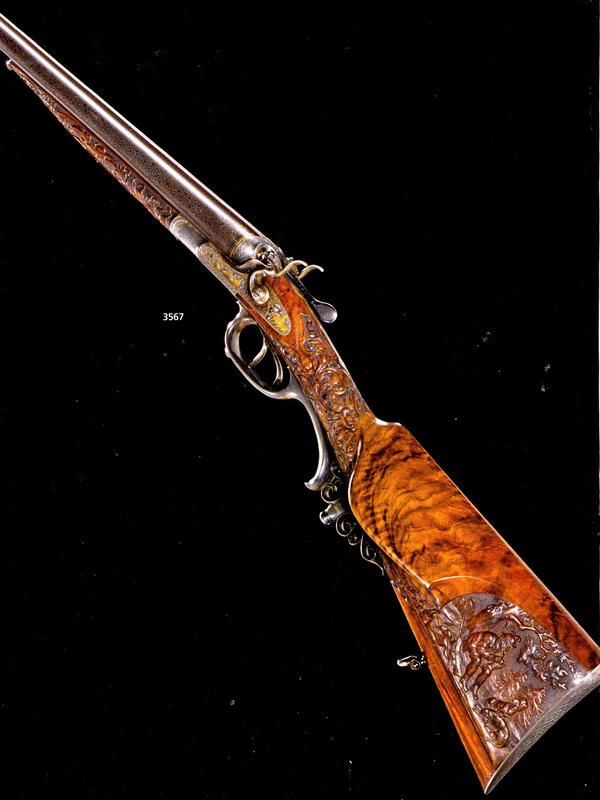 To go with the hunting firearms the firm sold they also dealt in all kinds of hunting acoutrements such as clothing, dog care supplies, game calls, hunting horns, fishing gear, ammunition and decorative items made of Stag Horn. 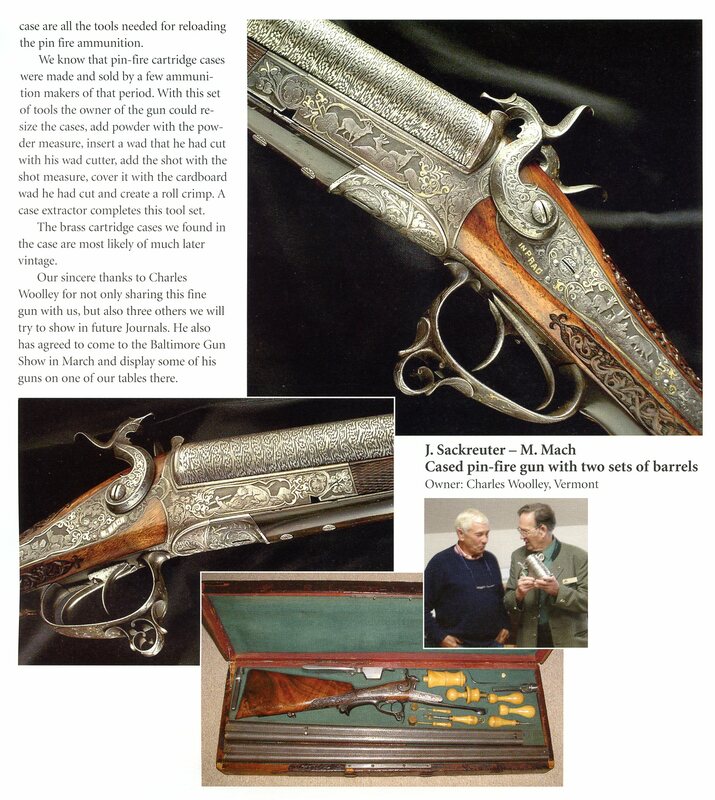 A Sackreuter side by side shotgun sold by and courtesy of Bonham’s Auctions.